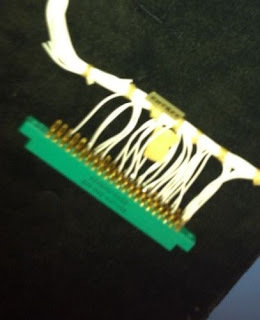 The pictures aren't much to look at, with poor focus, but you can make out that it's a connector of some kind. 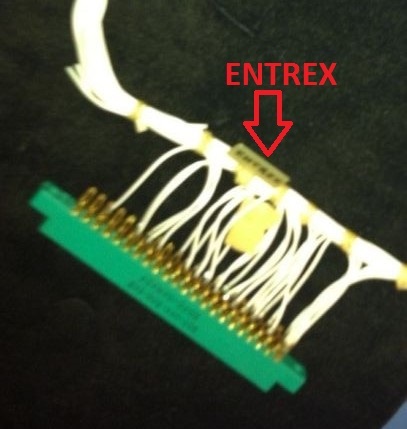 And this "badge" hanging off of the middle wire bundle which appears to say "ENTREX". Was it a board connector for this system? 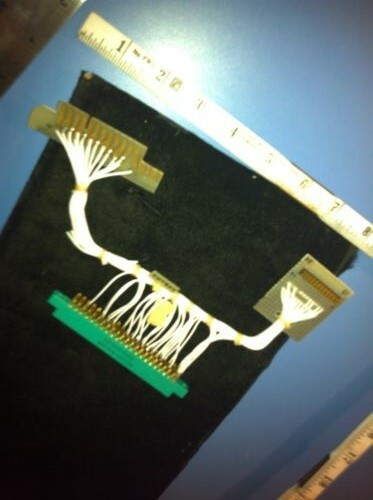 Maybe we'll never know. Unfortunately, I didn't buy this either.